The forth wild camp and testing out alternative camping equipment…a hammock! One thing I’ve learnt about wild camping is tents although they have their advantages, also feel claustrophobic and uninteresting. This wild camp formed the turning point in my choice of camping equipment. It was time for a change and to explore somewhere different and head further south to the White Peak area of Shining Tor. The car was left in the village of Flash, the highest village in the Britain at 463m. The route drops down to the west from Flash and along the River Dane before slowly climbing up to the west flank of Axe Edge Moor. Next stop was the Cat & Fiddle pub which is the second highest pub in England. Sadly we didn’t stop for a drink as there was still a fair amount of miles ahead. Given it was October the days being short we needed to arrive at the selected wild camp spot in plenty of time. Having never used the hammock before I was eager to arrive in daylight! Leaving the road the route takes a steep climb onto Shining Tor where the wind was blowing at a staggering pace. Walking along the Shining Tor ridge which becomes Cats Tor before slopping down into the Goyt Forest. The forest is mainly made up of rotten pine trees, the vast majority precariously standing in shallow peat. Given the strong winds and the need to camp amongst trees (hammock downside) we searched the forest for a safer place to camp. The biggest risk in these conditions is a “widow maker” or a tree/branch crushing you during the night. Not something that makes for a pleasant nights sleep. We were lucky enough to find a cluster of oak trees surrounded by the dodgy looking pines. Still not completely safe but the oak trees offered some protection. I had the hammock up and tarp in no time with my kit safely suspended and me sat comfortably in the hammock the obligatory Wayfarers were cooked up. Tim had opted to stick with his trusty Vango 2 man tent. It was a little eery in the hammock in the pitch black wood I must say. The sense that you are floating in the air and able to hear all sorts of woodland creatures walking around underneath you does take a little getting used to. Having said that though it was by far the most comfortable night I have ever had wild camping. The hammock provided a seat which does become a luxury missed when spending a night out on the wild. The night was fairly dry with a few passing showers. The wing never dropped though, the trees creaked in the wind all night. I’d read that hammocks are colder than a tent as you tend to compress the insulation underneath you more. I’d agree, they’re colder, if weight/size isn’t an issue then there are under blankets available that hang on the underside of the hammock that solve this issue. The next morning was much nicer, the wind had dropped and the woods provided some shelter. 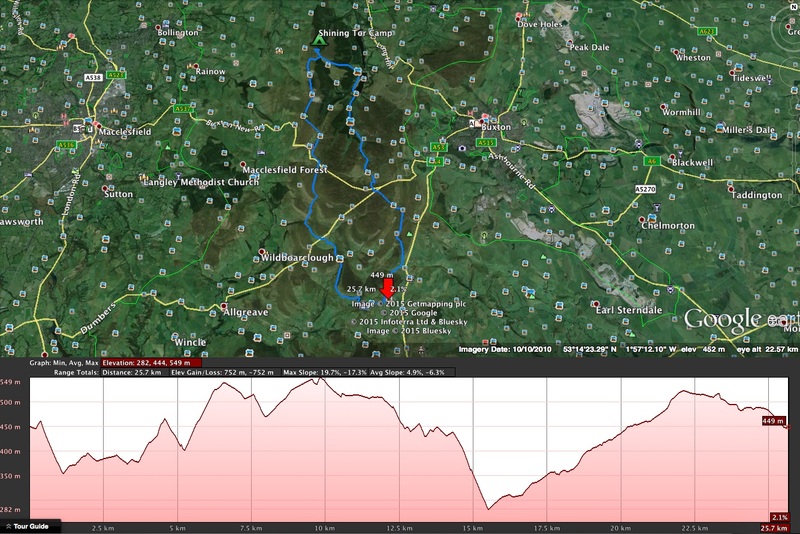 The route back followed the edge of the Fernlee Reservoir up onto Axe Edge Moor and eventually back to Flash. See my Wild Camp Map page for more route info. The route was enjoyable and although not as dramatic as the Dark Peak area of say the Vale of Edale, however it was a nice change. Hammock camping is something I definitely will try again, it changed my view on tents and provides for a much more open camping experience. 1. Hammock camping is great! !